A honeymoon is always a special and magical trip to kick-start the lifelong journey of togetherness. 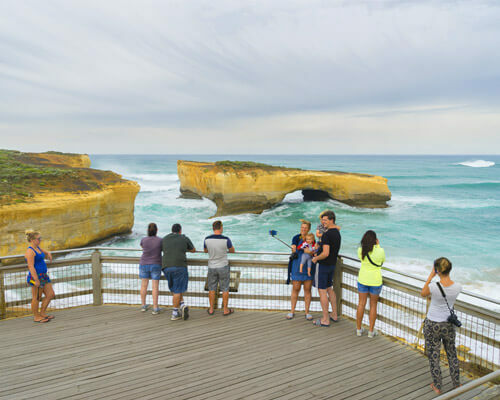 To make this special vacation all the more exclusive, there are some immensely mesmerising and romantic honeymoon places in India, whose nature beauty and panoramic view are too awesome to resist. 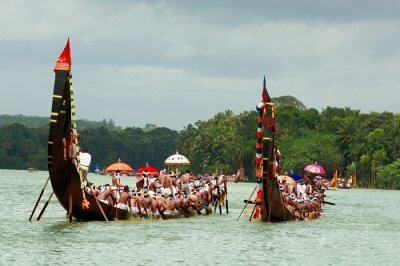 Of these, the north Indian honeymoon destinations are amazingly beautiful. North India is a perfect kaleidoscope of the lofty Himalayas, the sparkling rivers & lakes, and misty weather. It is a perfect catalyst to make your honeymoon stunningly romantic and memorable. 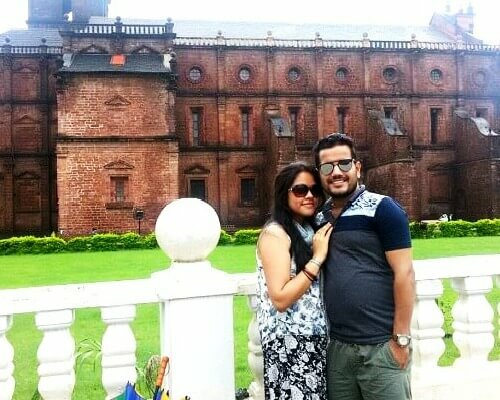 And to support the argument here is a list of the most enticing and enthralling honeymoon destinations in north India. I am certain that you’ll be spoilt for choices. Once you are already in a state of perfect happiness with your spouse, keep the spirits high and head on for a honeymoon trip to Leh-Ladakh. Tagged as one of the best honeymoon destinations in north India, Leh-Ladakh has a lot to offer to make the trip a complete bliss. The jaw-dropping landscape of stunning mountains, breathtaking valleys, cold desert, & crystal blue lake to make it a perfect setting for a wondrous honeymoon in Ladakh. It’s probably one of the most mesmerizing north India honeymoon places right now. 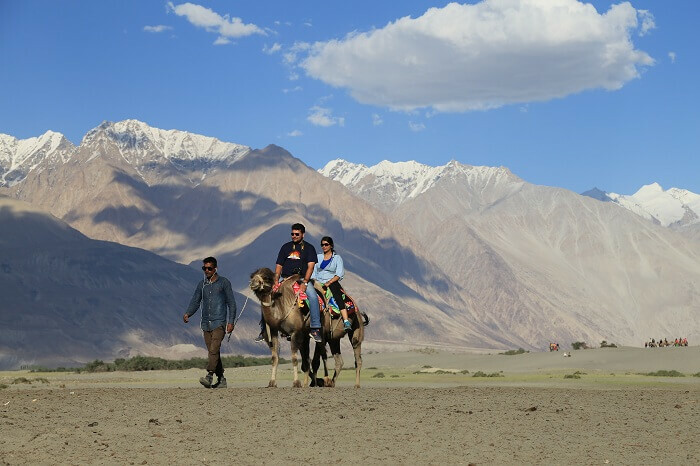 For that ultimate romantic honeymoon: Spend some quality time with your beloved while relishing the surreal grandeur of Nubra Valley, Zanskar Valley, Magnetic Hill, Khardungla Pass, Tsemo Monastery and Pangong Lake. How to reach: Leh has its own airport with flight connectivity to all major airports in India. Jammu Tawi (700 km from Leh) is the nearest railway head. Honeymooners can even take a road trip to Ladakh. For a romantic stay: Ladakh has amazing hotels offering comfort and luxury in the lap of nature. The Grand Dragon, The Zen, Gomang Boutique Hotel, and Singge Palace are few of them. Honeymoon in Kashmir is a dream come true for those who dream of paradise on earth. The unworldly beauty of Srinagar and the vibrant meadows of Gulmarg, Sonamarg, & Pahalgam offer absolute serenity and mental peace. 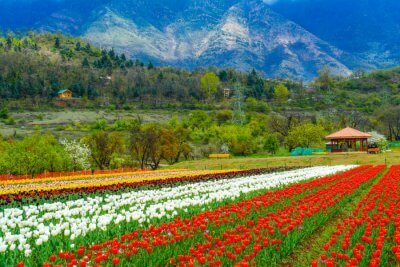 These beautiful places to visit in Kashmir for honeymoon make it one of the most invigorating and best north India honeymoon destinations. For that ultimate romantic honeymoon: Go for trekking in Sonamarg, pony rides in Pahalgam, Gondola rides in Gulmarg, or shikara rides in Dal Lake of Srinagar. And do not miss out on a night stay in one of the luxury houseboats in Srinagar. How to reach: Srinagar Airport is the nearest airport and is accessible from anywhere in India. Udhampur (230 km from Srinagar) is the nearest railway head. For a romantic stay: Go for luxury stays while choosing houseboats and/or hotels for your Kashmir honeymoon. The hospitality will sweep you off your feet! Dreaming already? Here, book your Kashmir honeymoon package now! Shimla and Kufri are very popular names in the list of honeymoon destinations in Himachal Pradesh. As a perfect honeymooner’s delight, Shimla offers fascinating beauty in the romantic setting of lofty Himalayas, gorgeous valleys, and colonial reflections. For that ultimate romantic honeymoon: Summer Hills, Annandale, Scandal Point, and Naldehra are some of the best places to visit in Shimla. 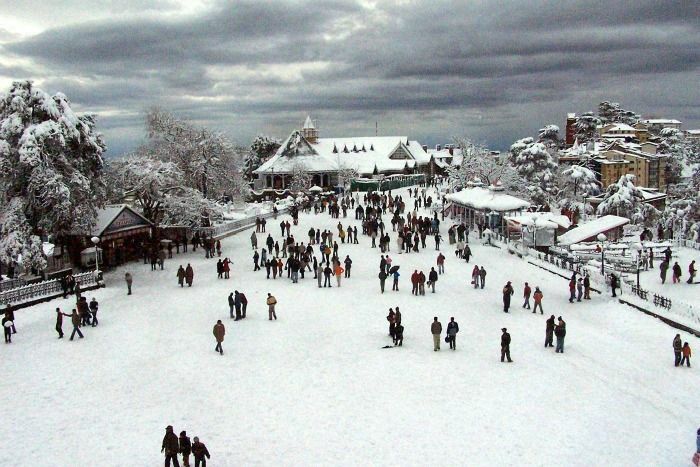 Kufri, a popular sport-destination, is perfect to enjoy the thrill of skiing and ice skating with your beloved. How to reach: Chandigarh is the nearest airport and Kalka is the nearest railway station. One can reach Shimla from Kalka in narrow gauge toy train. For a romantic stay: Shimla and Kufri have a plethora of stay options catering to all budget. From premium boutique hotels and luxury resorts in Shimla to the affordable mid-budget and dirt cheap ones; the list has it all. Manali is one of the picture-postcard honeymoon places in north India. Get overwhelmed by mighty snowy peaks, amazing weather, stunning waterfalls, and enthralling winter sports on your honeymoon in Manali. For that ultimate romantic honeymoon: Explore the magical monasteries and heritage temples, enjoy the sparkle of Jogini and Rahala Falls together, and go crazy with paragliding and river rafting. 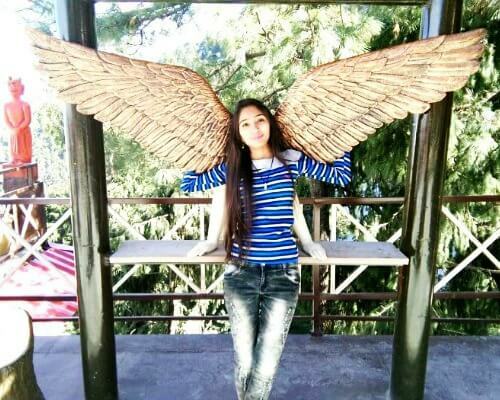 How to reach: Bhuntar (50 km from Manali) is the nearest airport at Kullu. Jogindernagar is the nearest railway station. One can enjoy the fascinating drives from Chandigarh, Shimla, Dharamshala, or even Delhi. 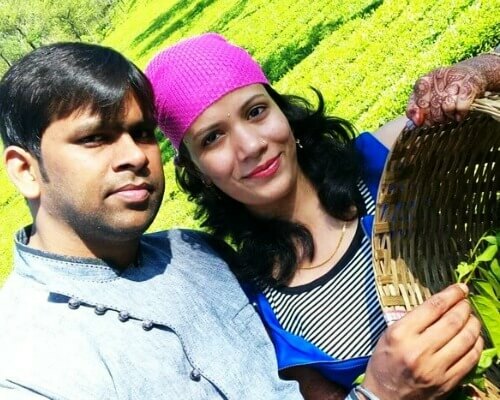 For a romantic stay: Manali is a honeymooner’s paradise with Manu Allaya Resort & Spa, The Himalayan, Span Resort, and Banon Resort being the best stay options. The HPTDC properties of Manali- Hamta Cottages, Hadimba Cottages, and Hotel Beas are also worth mentioning. Mcleodganj and Dharamshala offer best natural splendor and are, hence, considered as two of the most trendy honeymoon places in north India. 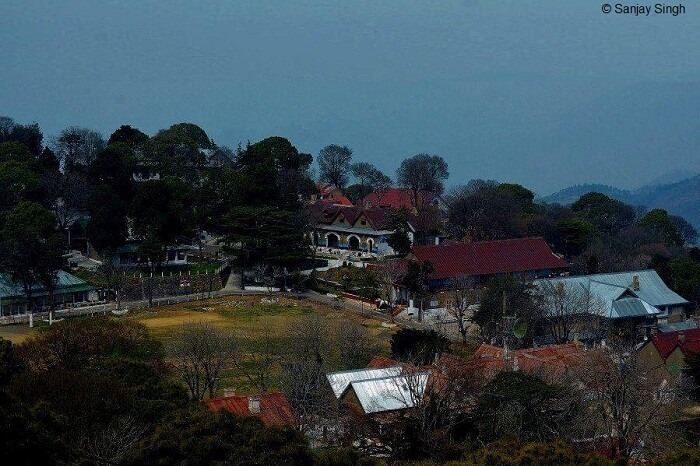 Mcleodganj is 9 km upslope of Dharamshala. 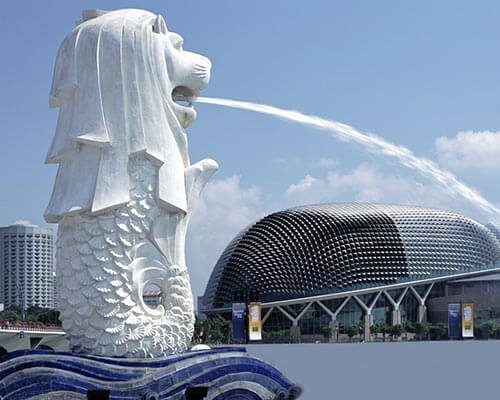 Both the places offer solemn delight and invigorating sensation as you fly high with your life partner. 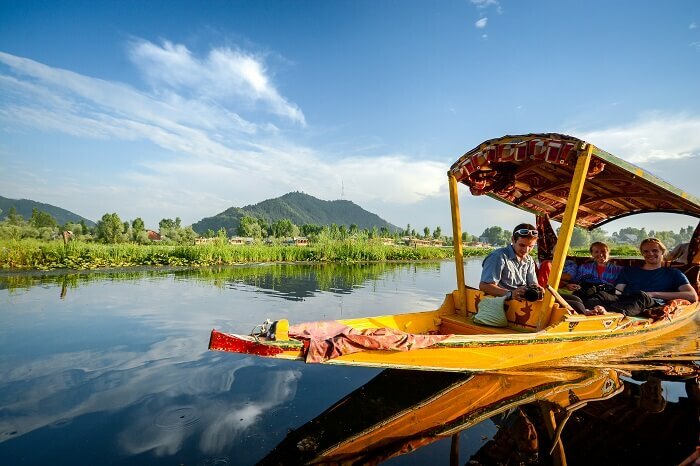 For that ultimate romantic honeymoon: Opt for boating in Dal Lake or spend some quiet time together at Naddi. You can also visit the bright monasteries or trek up to Bhagsu falls for that thrilling feel. 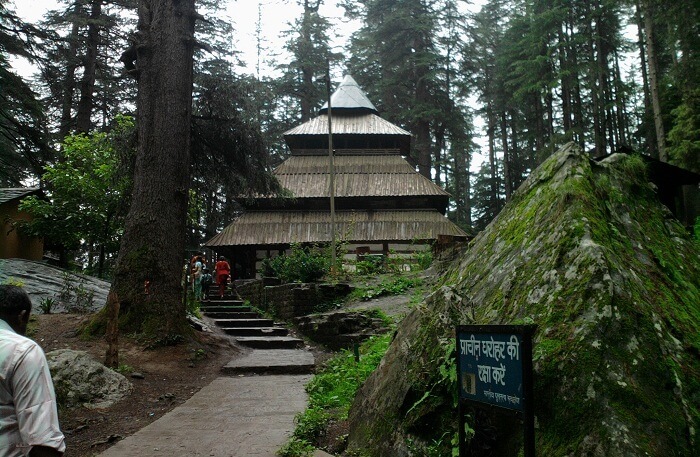 Furthermore, there are many other things to do in Mcleodganj that you can consider for your honeymoon trip. How to reach: The nearest is Gaggal Airport, 13 km from the town. Pathankot, located 85 km from Dharamshala, is the closest railway station. For a romantic stay: Mcleodganj and Dharamshala have some amazing hotels that offer all contemporary amenities. Plan and book as per your budget. 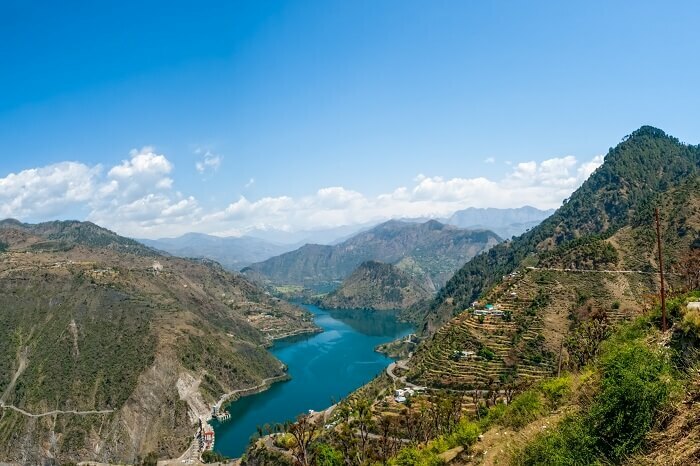 Nestled on the banks of Ravi River, Chamba is one of the picturesque north India honeymoon destinations. Endowed with vintage temples, natural splendors and scenic backdrop, this little piece of heaven is a complete bliss for the newlywed couples. For that ultimate romantic honeymoon: Feel the serenity by the river bank and spend some exclusive time with your life partner. How to reach: Gaggal Airport at Dharamshala is the nearest one, located 185 km away. Pathankot, located 118 km away, is the nearest railway station. For a romantic stay: Chamba has few stay options. 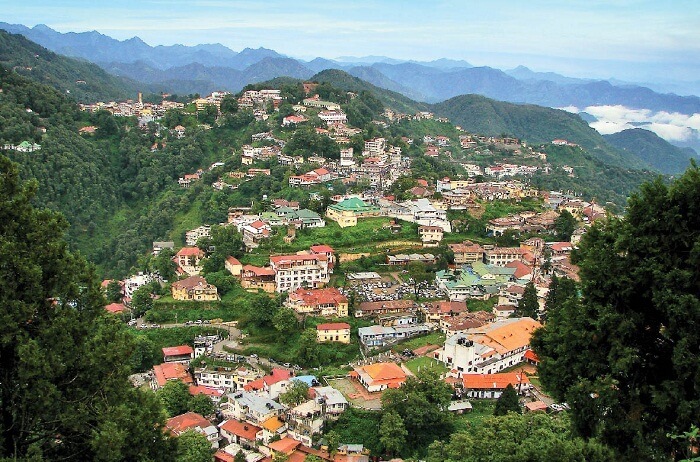 People prefer to stay at Dalhousie and go for a day’s trip to this scenic abode. Kasauli is a quaint and serene hill destination and perfect for a memorable honeymoon in north India. Lush green Shivaliks, charming surroundings, splendid views, and lively Tibetan market are the elements of charm here. And despite its little popularity as a honeymoon destination, there are a lot of things to do in Kasauli. For that ultimate romantic honeymoon: Take a stroll together down the hills or trek up to the Monkey Point to enjoy the breathtaking view. How to reach: Sonwara is the closest railway station (narrow gauge), located 4 km from Kasauli. Chandigarh, 58 km from Kasauli) is the nearest airport and the nearest major railway head. For a romantic stay: Being a less popular honeymoon retreat, there are not many stay options here. Having said that, Kasauli Regency and Kasauli Palace will stay provide an awesome stay experience. 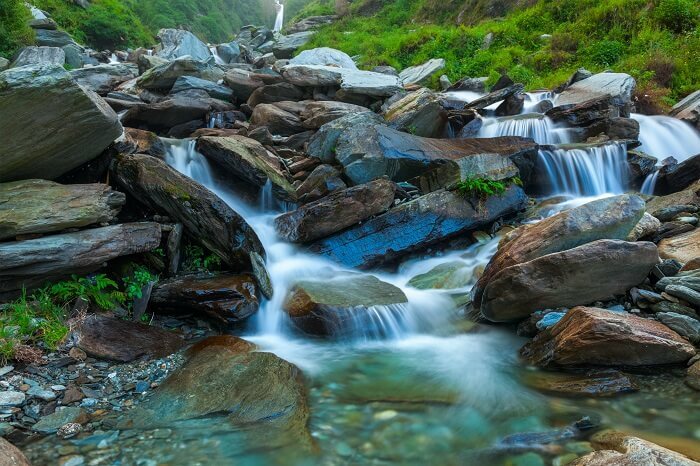 Aren’t these hill stations of Himachal stunningly beautiful? 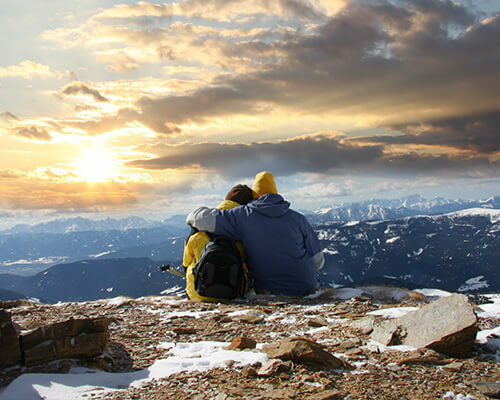 Why not include one or more of these destinations in your Himachal honeymoon package! Nainital – a lover’s den – is immensely popular as one of the honeymoon places in north India. The sparkling lake, surrounded by the gorgeous Himalayas, fascinates anyone who has just started their journey of togetherness. 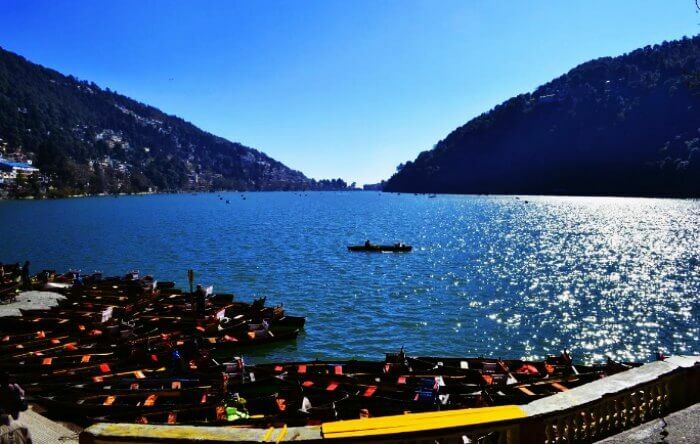 Though the list of places to visit in Nainital is pretty long, the Naini Lake and the Naina Devi Temple are the highlights of this quaint hill station. 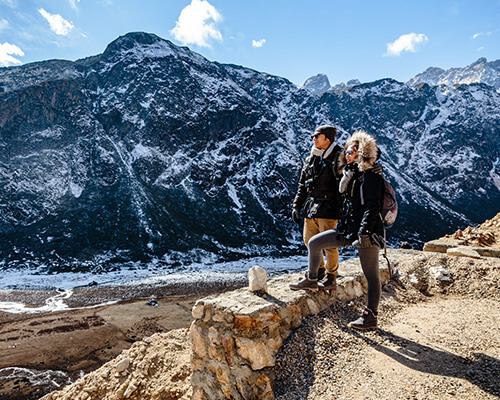 For that ultimate romantic honeymoon: Sail with your love in Naini Lake, explore the serene beauty of Naina Peak, view sunrise from Tippin Top & sunset from Hanuman Garhi, or visit the local Tibetan market for some delectable momo and thukpa. How to reach: Pantnagar, at a distance of 65 km from Nainital, is the nearest airport. Kathgodam Railway Station, located 34 km from Nainital, is the nearest railway head. For a romantic stay: Nainital has plenty of stay options – luxury hotels, budget hotels, and well-appointed guesthouses. One can explore hotels like Alka and Elphinstone for an absolutely delighted honeymoon. There is something in the air of Mussoorie that is, as Ruskin Bond puts it, conducive to romance and passion. And it shouldn’t be a surprise to find the hill station in the list of popular as well as idyllic honeymoon destinations in north India. Luxuriant mountains, misty tracks, and super cool weather of this destination is just perfect for a long awaited honeymoon. For that ultimate romantic honeymoon: Indulge with the most photogenic views and get drenched in nature with your love. Walk up to the Jharipani Falls or Kempty Falls and go for nature walk till Lal Tibba to experience the awesomeness what the place has to offer. How to reach: Jolly Grant, 54 km from Mussoorie, is the nearest airport. Located at 33 km from Mussoorie is the Dehradun Railway Station that is the nearest railway head. For a romantic stay: There are many stay options here in Mussoorie- from exclusive hotels to inexpensive decent ones. Plan your budget and check out the best of resorts in Mussoorie for a dream come true experience. If both of you are adventure enthusiasts, choose Rishikesh. 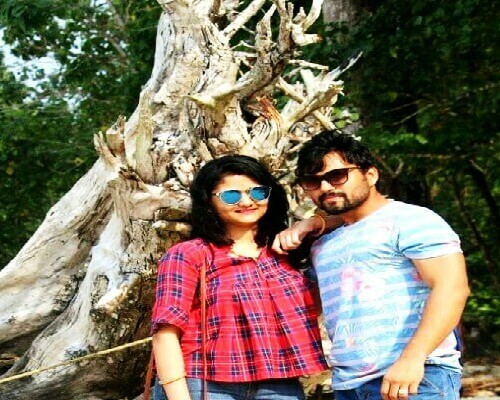 One of the most popular north India honeymoon destinations for thrill lovers, Rishikesh offers jaw-dropping surroundings, sparkling & forceful Ganga flowing by the side, and spiritual peace. Together with the fun things to do in Rishikesh, they make honeymoon in this destination an epic affair. For that ultimate romantic honeymoon: Enjoy the exhilarating white water rafting and bungee jumping, go for morning or sunset private yoga sessions, visit Beatles Ashram, and chill out at any of the amazing cafes. How to reach: Nearest railway station is at Haridwar, located 25 km away. The nearest airport is Jolly Grant, located at a distance of 35 km from Rishikesh. 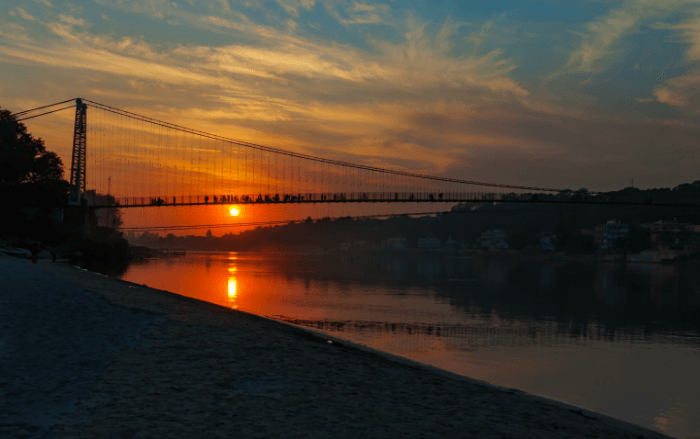 For a romantic stay: From luxurious hotels to budget guesthouses and amazing adventure camps, Rishikesh has something for people of all pocket size. 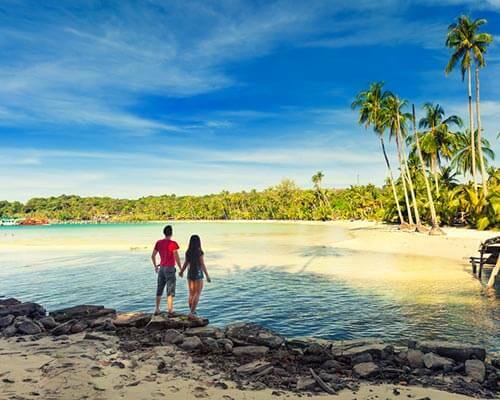 Which are the best honeymoon places in North India for August? Spiti, Ladakh, Valley of Flowers, and Mount Abu are among the most beautiful honeymoon destinations in North India to visit in August. Since Spiti and Ladakh gets snow covered for more than 4 months around winter, August happens to be the most pleasant time to visit these two destinations. Valley of Flowers experiences full bloom in this month, thus a visit to this heaven is ideal in August. Mount Abu gets more green and beautiful with rain showers, and is thus suggested for the honeymooners to visit in August. 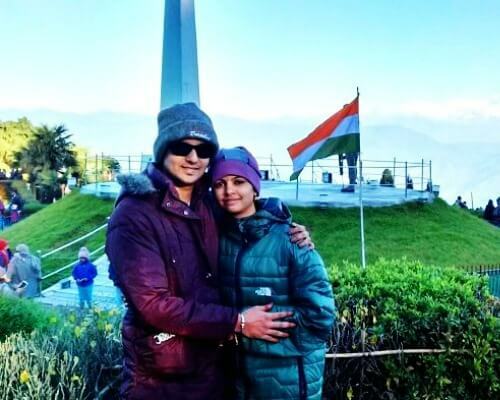 Which are the honeymoon places in North India to visit during Winter season? 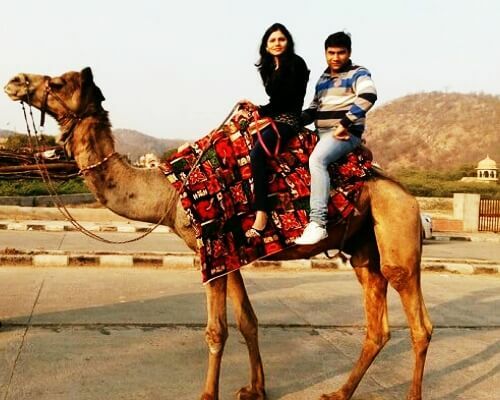 Udaipur, Jaipur, Jaisalmer, Shimla, Kashmir, and Auli are some of the best honeymoon destinations in India for winter. 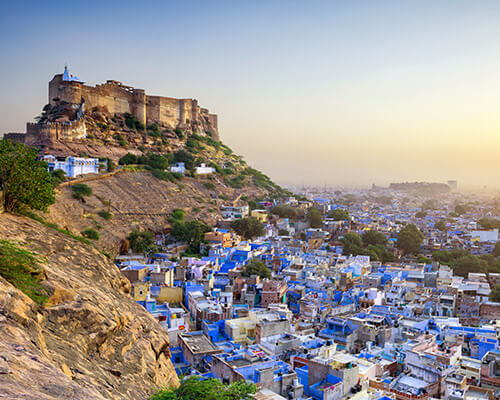 Jaipur, Udaipur, and Jaisalmer get relieved from scorching heat, and enjoy pleasant weather during this season. While, for the snow lovers, Kashmir, Shimla and Auli are just perfect! 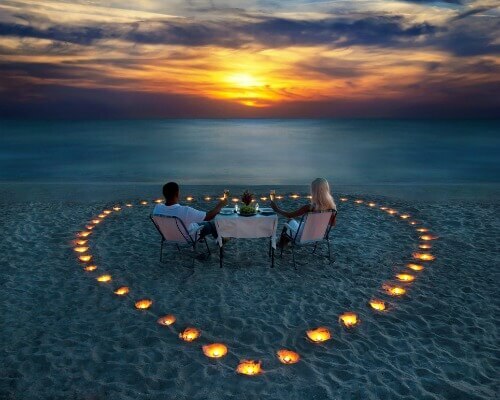 Which are famous honeymoon spots in North India? 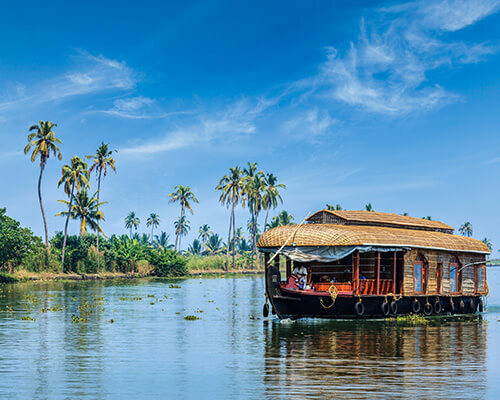 Nakki Lake in Mount Abu, Lake Pichola in Udaipur, Kempty Falls in Mussoorie, and Shalimar Bagh in Srinagar are some of the most famous honeymoon spots in North India.